Kids are natural climbers - at AZ on the Rocks they can literally climb the walls! 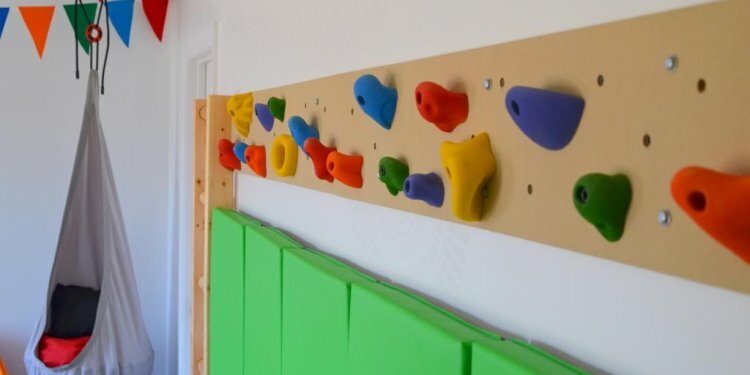 Climbing is a great way for kids to exercise their bodies and their minds. Parents - bring your kids to AZ on the Rocks and let them burn up some energy while you stay on the ground, in control, and share in their excitement! After a short orientation, parents learn how to use the climbing rope safely (belaying). Your kids will then be climbing up 30+ foot walls! Children under age 18 must have a waiver signed by their own parent or guardian prior to climbing. Children under age of 15 must be belayed by an adult, unless specially certified..
click an image below to view slide show.